High quality lightweight tartan sash. Can be worn with many outfits, as well as with Scottish dance outfit. Or pin at the shoulder to accessorize Ladies evening wear. An elegant addition to any Caledonian wardrobe. 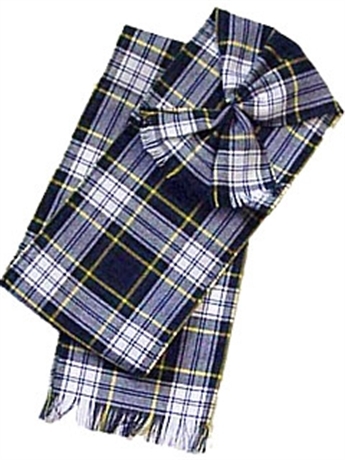 Available in over 500 tartans. High quality lightweight tartan sash. Can be worn with many outfits, as well as with Scottish dance outfit. Or pin at the shoulder to accessorize Ladies evening wear. An elegant addition to any Caledonian wardrobe. Available in over 500 tartans. Made to Order. Can't find what you want? In the tartan you want? Email us!